What gets larger the more you take away from it? The answer to this old riddle is “a hole”. Underground parking requires a hole, but there’s more to the cost of a hole than simply moving a volume of dirt. 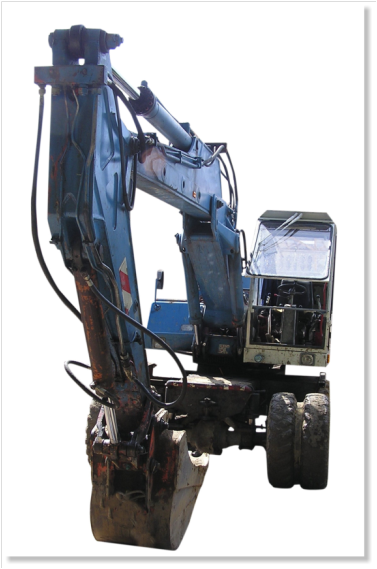 Automated parking systems (APS) utilized in underground parking have many advantages over underground conventional multi-story garages…and, those advantages start with the hole, the excavation. It’s a fact that APS require significantly less excavation work to provide parking for the same number of cars as multi-story parking garages. It’s also a fact that the cost of excavation work is non-linear, particularly when it comes to depth. Generally, each additional foot of excavation depth cost more than the previous foot…sometimes much more. Earth Shoring: Deep excavations require shoring systems to hold back earth and water and stabilize nearby structures while digging. As excavations deepen, more expensive earth shoring systems are needed to hold back increasing pressure exerted by earth and water. Earth shoring systems for deep excavations commonly consist of retention systems that act as walls to keep earth in place and support systems that support and brace retention systems. Elevation: As excavations deepen, removed earth must be lifted ever higher. This means the cost of getting out of the whole increases. Water: One of the biggest complications of any excavation is encountering unexpected ground water. Each foot of excavation depth increases the potential of encountering ground water and incurring the costs of handling it. Automated Parking Systems (APS) minimize the size and depth of necessary excavations compared to multi-story parking garages. The reduced level-to-level height means that excavation depths for APS are roughly 25 to 30% less than for conventional underground garages. This translates into substantial savings in excavation costs as well as reduced project risk, shorter schedules, less disruption and construction traffic. Your Skyline representative can show you all the advantages of underground parking with an APS.